As the radial expansion of the KOENIG EXPANDER® sleeve occurs, the base material in which it will be anchored plastically deforms. 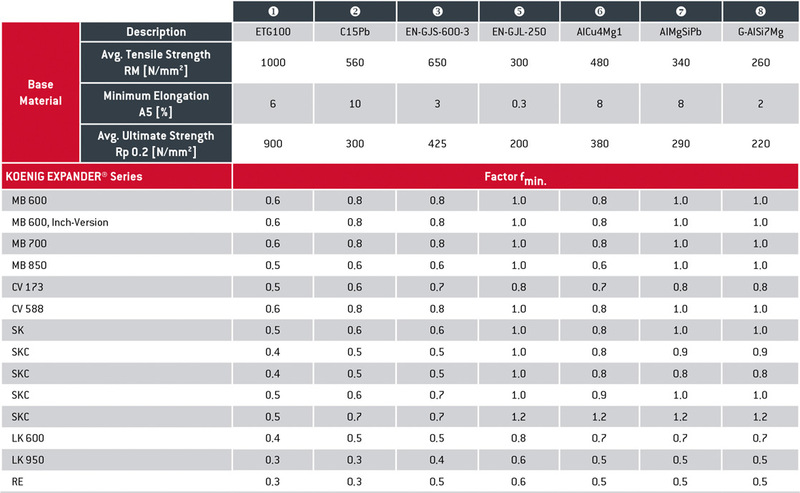 The resultant strength, as well as the hydraulic pressure and temperature service conditions depending on the expander type and characteristics of the base material, require minimum wall thickness, or distance from edge. 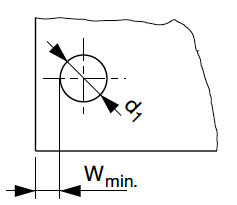 profile of the base material of less than 20 μm is likely. This does not affect the function of the KOENIG EXPANDER®. Below the guideline values (Wsub>min.) the possibility of overloading the base material exists, which can adversely influence the function of the KOENIG EXPANDER(R). In such cases tests must be conducted. 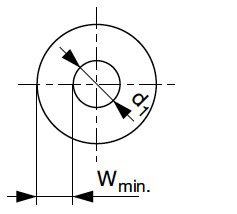 The required installation length (l4) min. 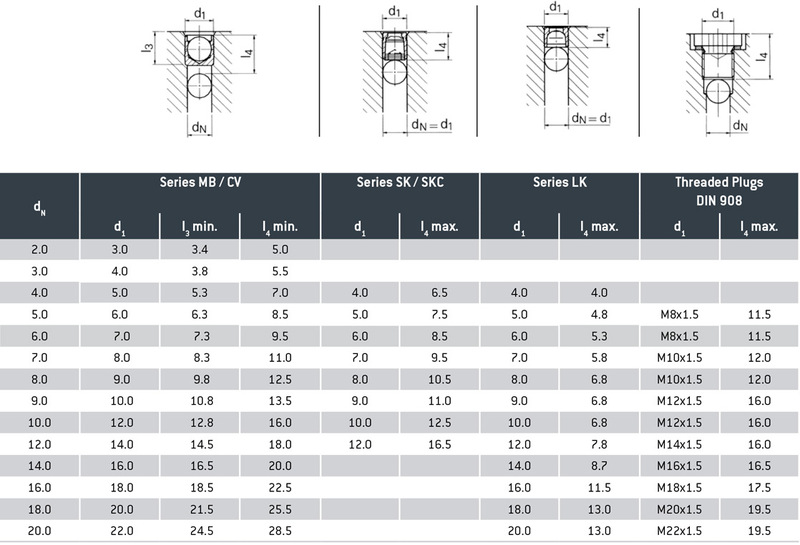 for MB plugs is for base materials with hardness greater than HB = 90. For softer materials, deeper installation is required. 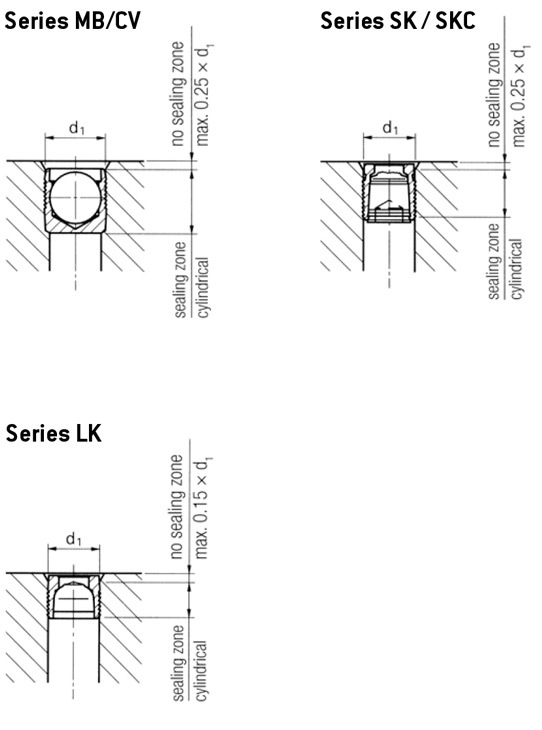 To ensure reliable functioning of the KOENIG EXPANDER® with regard to pressure performance and to ensure leak tight sealing, a roundness tolerance of t = 0.05 mm must be held. By using a double lipped twist drill, the called out hole and roundness tolerances are reached. Better tolerances, particularly for larger diameter holes, can be held by using a triple lipped twist drill. 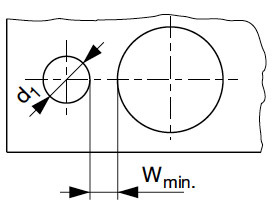 Within the effective sealing area of the KOENIG EXPANDER, the bore must be according to the dimensional sheets. 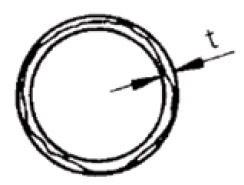 The bore lead in can be chamfered up to a depth of 0.25 x d1 (LK: 0.15 x d1) because this area has no significant effect on the sealing function.